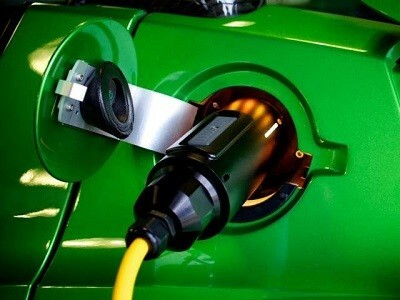 The environmental impact of petrol and diesel vehicles is encouraging governments and people to take a fresh look at the advantages of electric cars. With increased acceptance of these vehicles, their prices are also expected to be on par with conventional vehicles in a few years. Transportation accounts for around 23 percent of carbon dioxide emissions globally, a figure that may double by 2050. Motor vehicles in urban environments are responsible for both air and noise pollution. Electric vehicles, in comparison with combustion engines, have obvious advantages for emissions and human health, and are considered an important technology to help clean up the transport sector. But are electric vehicles really clean and green? When you look closely, there are quite a number of problems that contradict their environment-friendly reputation. For instance, cobalt, a key component of lithium-ion batteries used in electric cars, is linked to reports of child labour while the nickel used in these batteries is toxic to extract from the ground. Lithium mining is also associated with environmental concerns and land use conflicts in Tibet and Bolivia. Since the elements used in battery production are finite and in limited supply, it won’t be possible to electrify all of the world's transport with current battery technology. Recycling lithium-ion batteries is another problem area. Then there are non-exhaust fine particle emissions from electric cars, which increase with the large torque of the vehicle. Battery producers need to innovate to solve these technical and environmental headaches, by focussing on improved recycling and the greening of battery factories. Both electric vehicles and conventional cars need roads, parking areas and other infrastructure. A shift to electric cars only represents a shift in people's reliance on combustion cars to the electric alternative, which does little to address sedentary urban lifestyles or congested urban environments. The cost of traffic congestion can run into billions - traffic congestion in 2015 was estimated at AUD$16.5 billion; this figure is expected to increase by 2 percent every year until 2030. Despite the obvious advantages over fossil fuels, electric cars may not be the solution to urban mobility and infrastructure-related problems. Urban road congestion can be reduced by combining electric cars with smart traffic guidance systems. Though transport experts want fewer cars on the road, individualised transport continues to be promoted – in a greener version. A paradigm shift in transport may be needed to see real change on the ground. Encouraging bicycles, making city centres car-free, more efficient public transport and better walkability are some of the solutions suggested to address transport-related environmental problems. There are benefits too: enhanced liveability by reclaiming urban space for green developments; reduced cost of living by cutting commuting cost and time; health benefits from reduced pollution and more active lifestyles; improved social cohesion by fostering human interaction in urban streetscapes; and better economic performance by reducing loss of productivity caused by congestion.